The US are Australia's top 5 inbound market for visitor arrivals, ranking third largest market for visitor spending and fourth for length of stay. Currently in their peak travel season, here are some tips to attract US visitors. Australia is an attractive destination for our safety and security, good food and wine, unique wildlife, landscapes and value for money. Speaking the same language, Australia appeals further as translations aren’t necessary, and signs and maps are easy to read (hopefully!). The US dollar sits just above the Aussie dollar, meaning the exchange rate is in their favour. However, Australia is notorious for a high cost of living, especially comparatively to America where food and drinks are often cheaper. Be mindful of your pricing and inclusions, every tourist wants a bargain, and you want a profit. 3. Can they book with you before they travel? For many leisure travellers, the key motivation for travel is not the accommodation or transport, but the attractions at the destination. Does your tour or attraction offer a booking mechanism to the international market? Can the customer be reassured that their long-haul flight was not wasted on booked-out tours? This confirmation gives the traveller peace of mind. 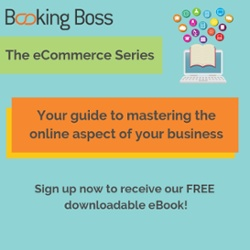 Booking Boss can offer a resolution to this issue for your business. Travel agents and wholesalers in America can benefit you greatly, recommending your product to visitors who didn’t even know they wanted it, or that your company existed. Keeping in contact with these partners and maintaining good relationships ensures you can communicate your product via the agent. Along with this, your product could be bundled by wholesalers. 5. Are you appearing in online searches?